On the night of Saturday, November 18th, armed death squads from the CTM attacked the striking workers of the Media Luna mine at a roadblock that the workers had set up in the town of Azcala in the municipality of Cocula, Guerrero near the mine, resulting in the death of two of the workers. The workers went on strike 17 days ago because they refused to belong to the CTM, which does not defend their rights and constantly betrays, offends, harasses and attacks them; and is completely subordinated to the interests of the company, which is why they decided to affiliate to the National Mineworkers’ Union. The National Union of Mineworkers holds the company responsible for this perverse and cowardly aggression along with the CTM and the Secretariat of Labor and Social Welfare. The repression occurred while negotiations were going on between the National Union of Mineworkers and the Canadaian company Torex Gold Resources, the owner of Media Luna in Guerrero. 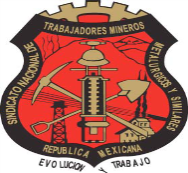 The National Union of Mineworkers demands that the mining concession under which this company operates in Mexico be withdrawn, as it has violated the law and social order and no longer deserves to have the right to operate in Mexico, a country whose laws it has violated without respect. The actions of the CTM death squads are among the worst acts of repression directed at the mineworkers and local residents, for which reason the Union demands that the entities responsible (Torex Gold, CTM and STPS) be investigated and subjected to criminal penalties, so that this vile and cowardly aggression does not go unpunished. Likewise, we hold responsible President Enrique Peña Nieto, Interior Secretary Miguel Ángel Osorio Chong, and the Army and Navy units that presumably protected the aggressors – according to the workers so that the full force of the law is directed against the intellectual and material authors of this aggression. The repression occurred in the town of Azcala in the municipality of Cocula, Guerrero, near the Media Luna mine, where the workers had set up a roadblock, and brought on a reaction that the repressors did not expect. The workers of Media Luna, as well as the and the local residents, are outraged by these acts, and they demand that instead of the union election which was planned, the control of the collective bargaining agreement now be awarded immediately to the National Union of Mineworkers which they had sought to join from the beginning of this conflict. The workers who died in this aggression are two brothers, Víctor and Marcelino Sahuanitla Peña. An army squadron detained the aggressors, but immediately released them due to an order from an unknown authority. The striking workers at Media Luna identified the following persons as responsible for the attack by the CTM: local leaders Oscar Sotelo Gaspar, Marcelo Ríos Zúñiga, Marcial Barrios, Rodolfo Aldave Villalobos and the brothers Luis and Miguel Gómez Montiel; the last two – known as “the goats” – were the ones who directed the repressive operation. The military patrol that intervened in the attack was Number 0827327, from the Military Zone of Iguala, Guerrero, whose members presumably participated in and are responsible for the disappearance of the 43 higher education students from Ayotzinapa, and was under the command of Lieutenant Erik Mondragón Serrano. At the moment of the attack members of the Gendarmerie (of the Federal Police) were present; these guarded the attackers and took them away, then released them in the area known as El Arenal. The National Union of Mineworkers demands justice and a complete halt to the repression and attacks against the mineworkers in the State of Guerrero and throughout the country. Note: The CTM is a supporter of ‘yellow’ unionism. It negotiates ‘sweetheart’ agreements with employers many of whom have granted CTM recognition rights without the agreement of the workforce. Evidence shows that Mexican workers have usually received little benefit from these agreements. The CTM is seen as increasingly corrupt and right wing, and works to impede workers’ efforts to organize independent unions such as Los Mineros. Los Mineros is a sister union of Unite The Union in the UK and Ireland and the United Steelworkers in the USA and Canada in Workers Uniting. This entry was posted in International Employment Rights. Bookmark the permalink. Solidarity brothers . This barbaric behaviour only made Los Mineros stronger in Lorenzo Cardinez and will do the same at Media luna.